"One can never have enough of it: the Prince of Wales pattern is bold, confident, uncompromising. When I wear mine, I feel a little royal myself. Choose a tie in a clashing pattern, team it with your best suit, and walk like you mean business. 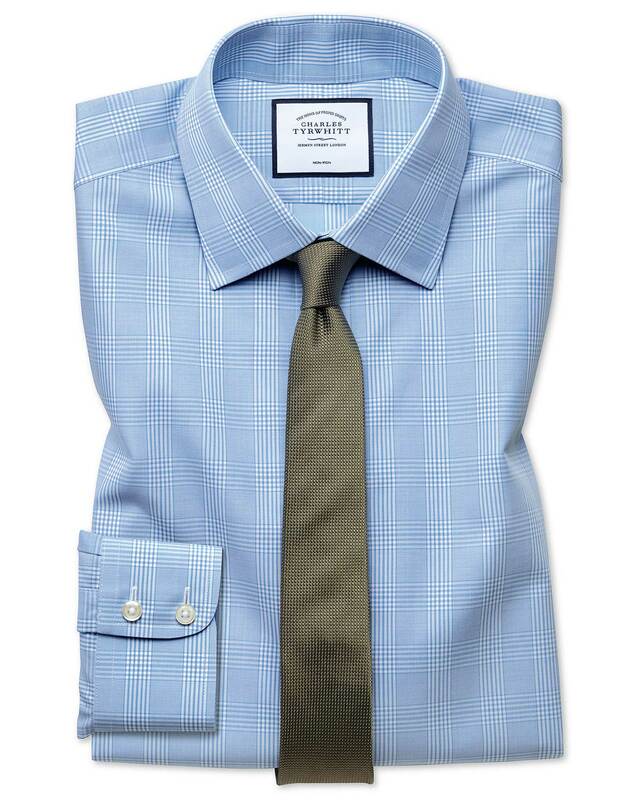 Non-Iron, these shirts will keep you creaseless like a prince." "Prince of Wales-pattern shirt made from 100% cotton and non-iron."